Bring a retro touch by accent your room with the Chair. 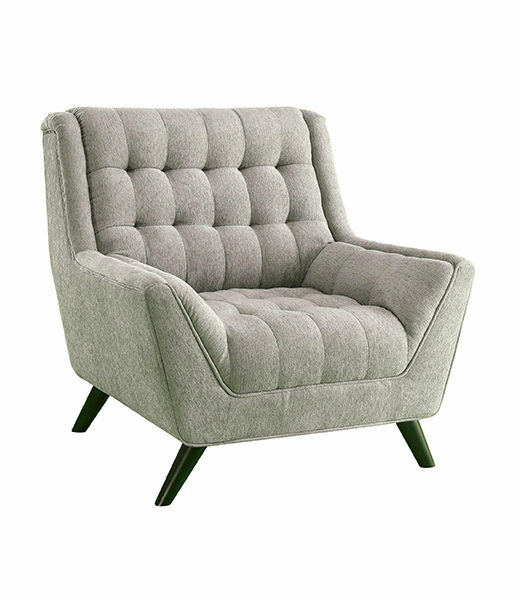 With a mid-century style, the chair features low flared arms, exposed wood angled legs and a tufted seat and back. Bring a retro touch by accent your room with the Chair. 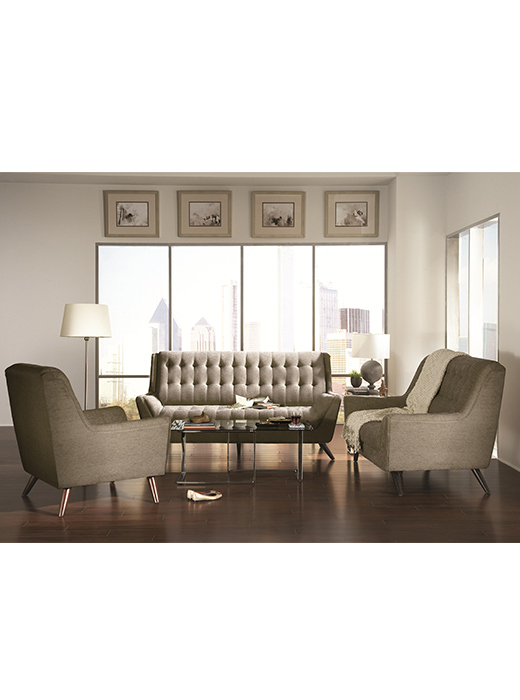 With a mid-century style, the chair features low flared arms, exposed wood angled legs and a tufted seat and back. 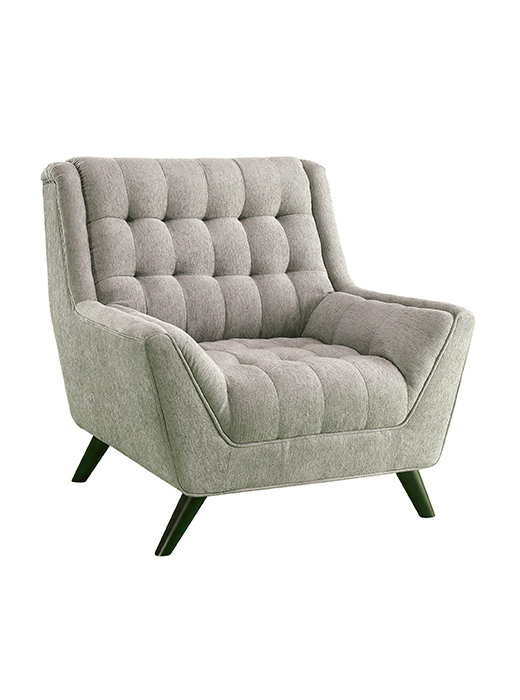 The chairs soft chenille creates a comfortable seat that will make it hard to resist.